I grew up in the 80s when the Vans sneakers with the checkered patterns were at the height of their popularity. When I paired those with my Jordache jeans and Izod polo shirts, I was the man. But the checkered pattern shoe wasn’t the company’s only popular design. In their 50 year history, Vans has created dozens of iconic styles including the ever-popular Sk8-Hi. The Sk8-Hi was first introduced as Vans’ “Style 38” in 1977 and was the first high-top silhouette offered by Vans. The multi-panel construction provided endless customization possibilities allowing the Sk8-Hi to be worn and styled by artists, athletes, and creatives. To celebrate their 50th Anniversary, Vans is presenting the Sk8-Hi in a collection that includes new color offerings, vibrant prints, and premium material upgrades. Additional design enhancements include deconstructed uppers, zip back detailing, and slim sole construction. 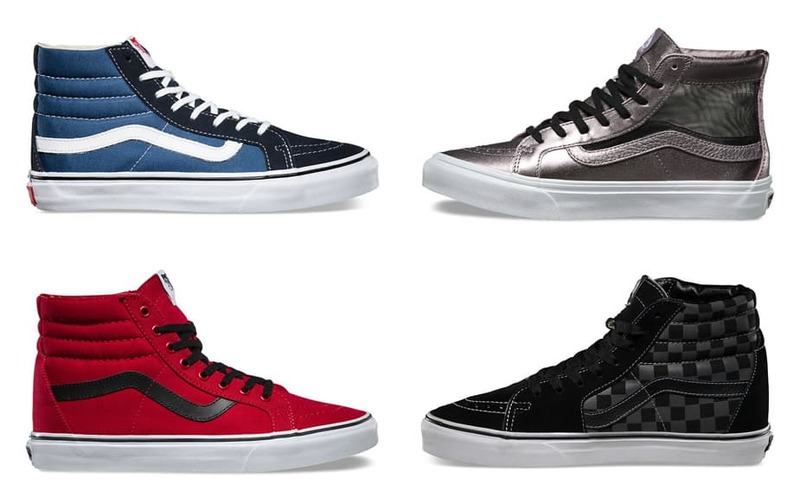 If you love sneakers, you’ll want to add the new 50th Anniversary Edition SK8-Hi shoes to your collection.